Christopher James Jordan is an English cricketer, born on the 4th of October, 1988. Jordan is a right-arm fast bowler and a handy tail-ender. He hails from Barbados where he spent most of his early days, before he moved to England. The pacer was qualified to play for England and West Indies but chose to play for the former. Jordan underwent his formal education at Combermere School in Bridgetown, Barbados. His sporting talents got him a scholarship to complete his education at Dulwich College in England. Before bursting out in the international stage, Jordan played for Surrey Cricket Club in the county championship. At the age of 18, he picked up 20 wickets for the club in five games and also won the Most Promising Young Player Award for Surrey in 2007. The fast bowler missed the entire 2010 County season due to a stress fracture. On his return in 2011, he just picked up 11 wickets. After being released by Surrey in 2012, Jordan went back to his home country where his talents became evident again. 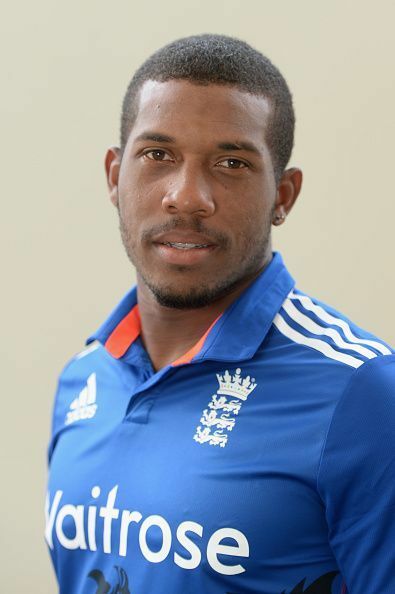 Chris Jordan made his ODI debut against Australia on the 16th of September, 2013. He picked up 3 wickets and scored 15 runs but ended up on the losing side. He went on to be a part of the England line-up for their tour to Australia and West Indies in 2014. His Test debut came against Sri Lanka at Lord’s in June 2014, where he picked up three and two wickets in the first and the second innings respectively. In his T20 debut against Australia in Sydney in February 2014, Jordan could pick up just one wicket and scored unbeaten 10 runs as England lost the match by 84 runs. In the third T20I against West Indies in early 2014, he picked up three wickets and scored a quickfire 26 which made him a huge prospect for the test squad. He rose to prominence in the series against Sri Lanka in 2014 where he picked 12 wickets. His ODI performances earned him a place in the test squad. In late 2014, Jordan had a good test series against India where he picked 10 wickets and England took the series 3-1. Jordan was an instrumental part of the English side in the 2016 World T20. He was bowling the difficult overs very well and finished the tournament with an economy rate close to 7.50. Jordan entered the Indian Premier League as a replacement for Mitchell Starc for Royal Challengers Bangalore. He picked up 11 wickets in 9 games with best figures of 4/11. He was released by the RCB after the 2017 season. He was bought by Sunrisers Hyderabad for his base price of Rs 1 crore at the auction ahead of the 2018 IPL season. Jordan has failed to make significant contributions to the English squad. With Chris Woakes becoming the preferred bowler, Jordan has fallen down the pecking order.